Here is how a student of mine who is a project manager implemented my success tools and his management mindset to achieve and attain the goals that he wanted. An interested read for those who are from a similar background, enjoy…. 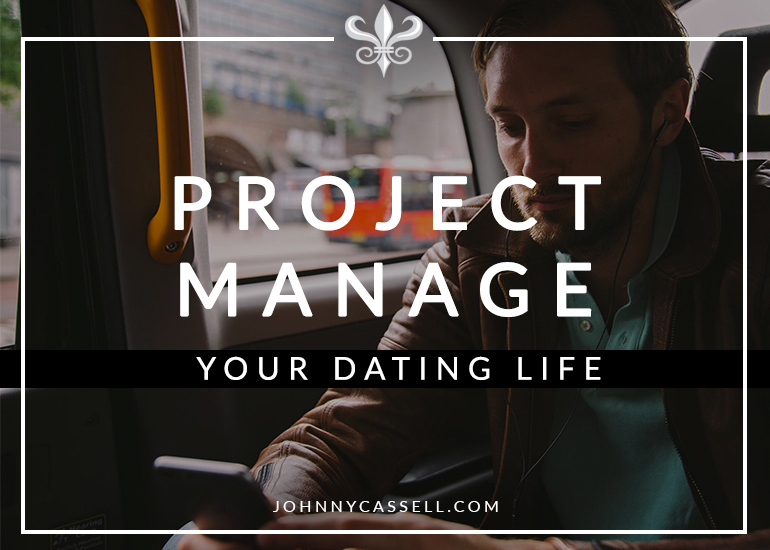 Imagine if you took a very structured approach to your dating life and applied some project management techniques to it. How would that work in practice? Could it help you take your dating to another level? I employed some of these techniques when I worked with Johnny 1:1 and I found them really useful to keep me focused. It allowed me to go from having never approached a woman in the street to striking up conversation with random strangers, getting their numbers and taking them out on dates. 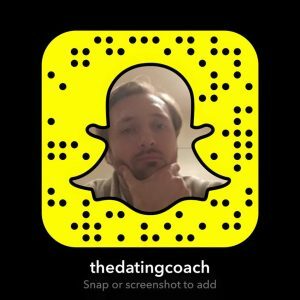 I used these tools to look at how much progress I had made in the time we worked together and set new goals for the future, to find someone to have a long-term relationship with. Johnny is very good at helping you achieve your goals, but you need to know what you want and you have to practice. Project Management is applied in virtually every industry and thousands of businesses across the UK and globally. In a nutshell, project management is the discipline of planning, organising, securing, managing, leading, and controlling resources to achieve specific goals. Sound familiar? You approach women, build attraction, manage the relationship, with the ultimate goal of a successful date. Firstly, you need to define your goals. Ask yourself what you want to achieve in the short, medium and long term. Goals should SMART: Specific, Measurable, Attainable, Relevant and time bound. An example of a SMART goal might be: “to achieve a dinner date within the next month” or “to approach at least 5 girls every week for the next 4 weeks”. Both goals are specific, attainable, relevant and time bound. An example of a goal which isn’t Smart would be: “I want to go on a date with Adriana Lima at some point in the future.” For most of us it isn’t attainable and it isn’t time bound, so it’s not SMART. Goals are the starting point for any plan. You can only measure your progress if you have something to benchmark against. My initial goal was just to approach and speak to at least 10 attractive women on the street. I set myself this goal and achieved it with Johnny on our first session. It’s all about baby steps, ask for directions, the time of day, whatever it may be. Then you can build it up to a more direct approach to show you’re interested and flirt with them a bit. Set new goals once you have achieved the ones you previously set yourself. Remember, even a small amount of progress is a step in the right direction. A flow chart or GANTT Chart is useful to visualise the actions you need to take to progress your dating endeavours. What actions are dependent on others in order to progress? What is the timeline for each stage and the effort required to successfully complete that part? The main benefit of a timeline is that it allows you to visualise the end goals and steps required to achieve it. It becomes more manageable in bite size chunks rather than one massive leap. If things change, you can manage the end date for each stage end and adjust preceding actions accordingly. This type of visual affirmation will allow your brain to focus on the resources acquired to complete each stage even when you’re asleep. Sub-conscious thought is one of the most powerful means to overcome problems and accounts for 50-60% of your brains capabilities. Have you ever woken in the middle in the night with the solution to something that’s been bugging you for weeks? That is your sub-conscious brain. Be kind to yourself. It is very easy to be self-critical but you need to focus on what you have achieved, not what you haven’t. Look how far you’ve come. Set Milestones every week or month (depending on length of your goal) to review all the positive things that have happened and what you have achieved. Avoid revisiting negative interactions unless you think there is something you can learn from them. Based on your review give yourself 3 things to work on until the next milestone. In any project there are risks and assumptions. Outline any risk and assumptions that you can think of relating to your dating goals. Is there a risk you will come across too needy because you text a girl too much when you really like them? It is important to identify your weaknesses so you can work on them. If you write them down, you have a much better chance of addressing them and making positive changes. I initially listed rejection as a risk, because I was afraid of rejection when approaching women in the street. After working with Johnny for a few months I quickly overcame this and thought “What’s the worst that can happen?” and the answer was, nothing. You just move onto the next girl, not every approach will be a success but after a while it’s just water off a duck’s back. There are literally millions of other women in the world. I found it useful to list this as a risk initially and then I removed it when I had overcome it. These are just a few key project management techniques that could really help you have more success with women. The brain likes structure, so this approach could really provide some focus and direction in your dating life. I have come on leaps and bounds since working with Johnny. I had never approached a woman, didn’t know what to say to them and felt weird talking to random people in the street. Now I enjoy it, it becomes second nature with enough practice. You find what works for you and you stick at it. My success has meant meeting girls in the street and ended up having the most amazing experiences, like getting invited to the European premiere of a blockbuster film in Leicester Square and walking the red carpet with Hollywood A-listers or travelling to South America stay with a girl I met on the street in London. I ended up dating these girls for a short period and had a great time with them. In order to succeed you need to make the effort and invest in yourself, not just with money or coaching, but time. Good luck on your journey and if you employ some of what I have talked about it will help you no end.